Rent affordable charter buses, school buses, mini buses, shuttle buses, party buses, and limousines in San Diego, CA. Experience the beauty of long beaches and appreciate a mild climate all year-round when you visit San Diego. This major city in Southern California is not only known for its extensive biotechnology research and military activities but it also works perfectly for a bus trip. 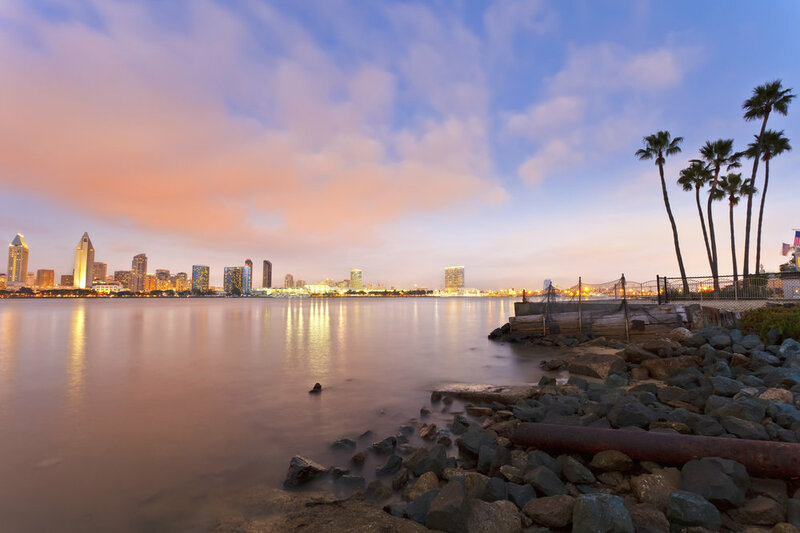 With famous travel attractions such as the San Diego Zoo Safari Park, La Jolla Cove, USS Midway Museum and the Torrey Pines State Natural Reserve, you can bet that we cover all of San Diego with buses. Spend some time here and discover why this oldest city in its state is also America’s finest. Get a free quote for bus rental by filling out the form below!